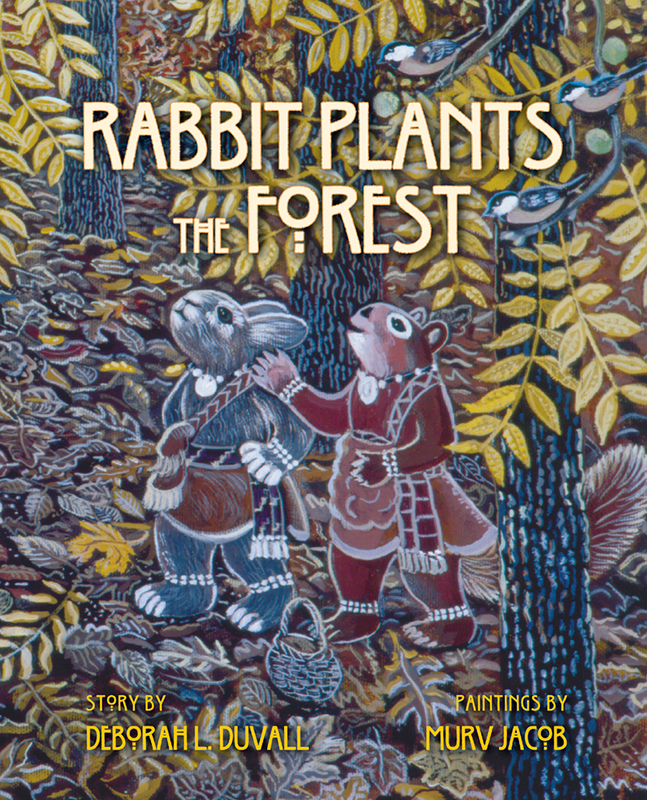 Rabbit Plants the Forest is an adventure story based on characters from Cherokee tradition, including Ji-Stu (Rabbit) and his friends Otter, Sa-lo-li (Squirrel), and the mysterious Wampus Cat. and Sa-lo-li only laugh when the elderly squirrel White Oak warns them to watch out for Wampus Cat. Before the planting is done, their laughter turns to fright as they narrowly escape with their lives! Based on the ancient Cherokee teaching that squirrels keep the woods alive and should not be hunted, Rabbit Plants the Forest combines Jacob's color paintings and a blending of Cherokee mythology with scientific facts about animals and their places in our world.